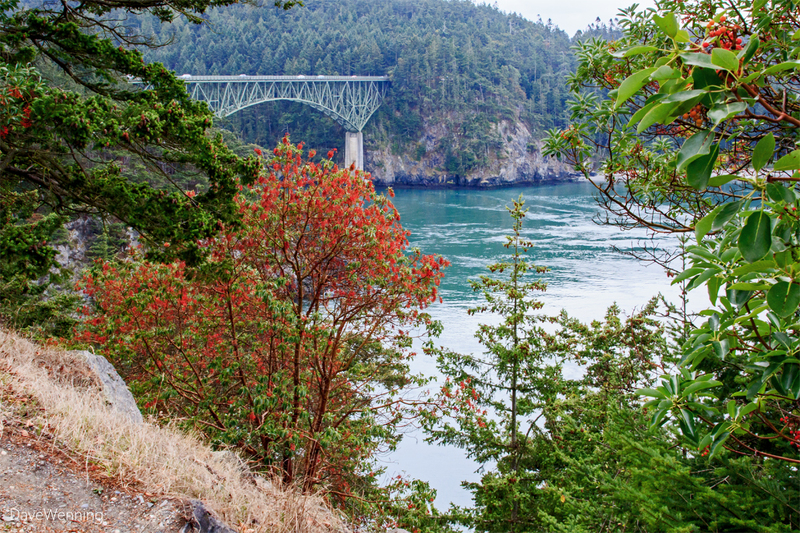 This past week, I took a short hike at Hoypus Point in Deception Pass State Park. 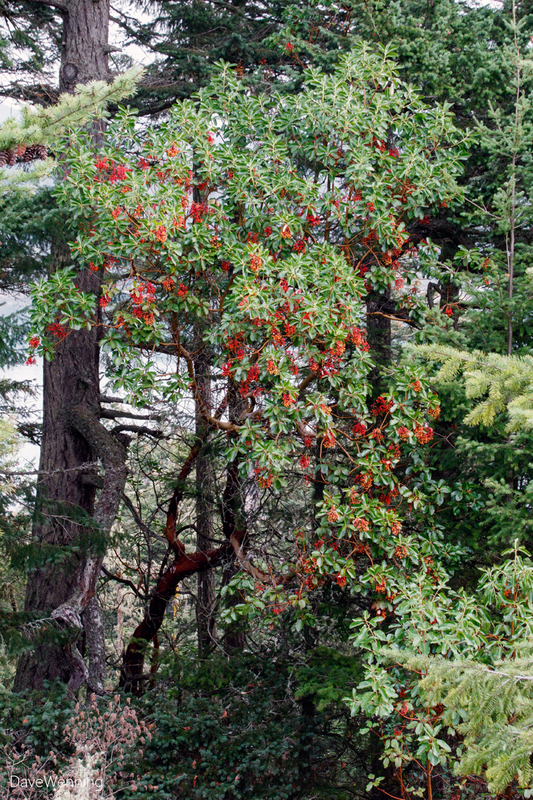 Driving over there, I was astounded by the Pacific Madronas (Arbutus menziesii) along Highway 20. 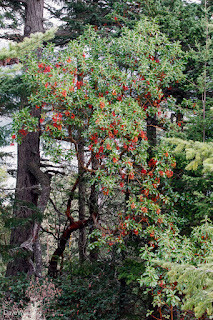 On the Fidalgo side of the pass, the trees on both sides of the road were ablaze with clusters of berries. In nearly thirty years living here, I had never seen anything quite like it. I had to return to get a closer look and some photos. The photos I took of the flowering last spring were from the Goose Rock summit and its south flank. I returned there to see if these were laden with fruit as well. Sure enough, they were. 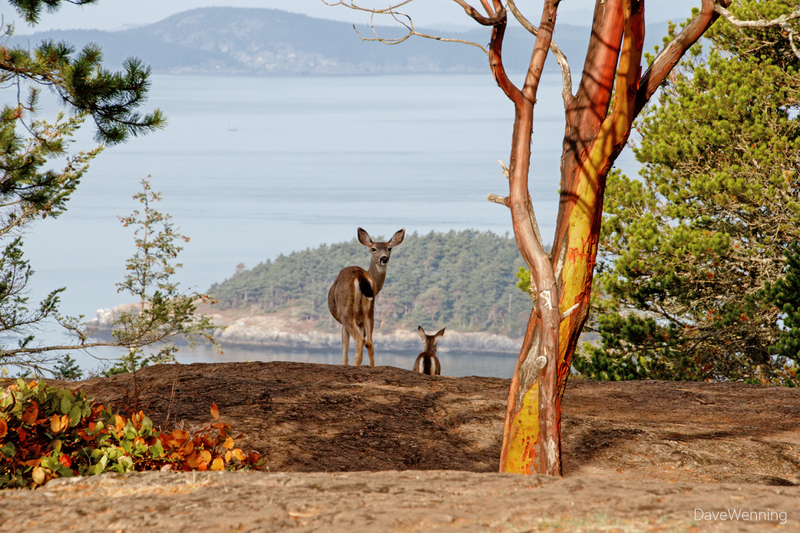 While at the summit, I made a couple of new friends, a pair of young Columbian Black-tailed Deer. The deer were not yet fully grown. I suspected they were siblings. After leaving their mother's side, they stick together for a few years until they mature. This was the case with a pair that visited my yard. Below is Deception Island marking the entrance to Deception Pass. Beyond is Lopez Island in the San Juans. But I digress. 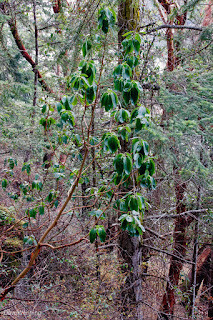 The Goose Rock Madronas were also fruiting abundantly. 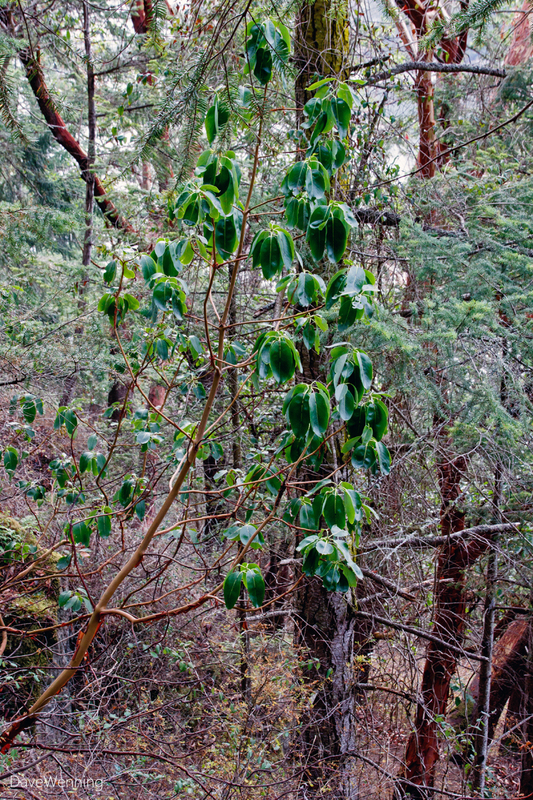 The tree shares its species name with the Douglas Fir, Pseudotsuga menziesii. 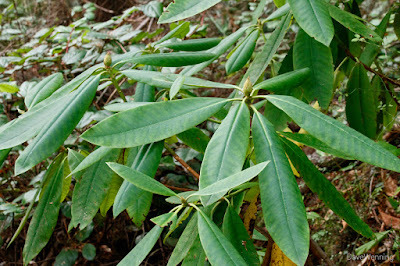 It honors the Scottish botanist Archibald Menzies, a member of the George Vancouver Expedition. 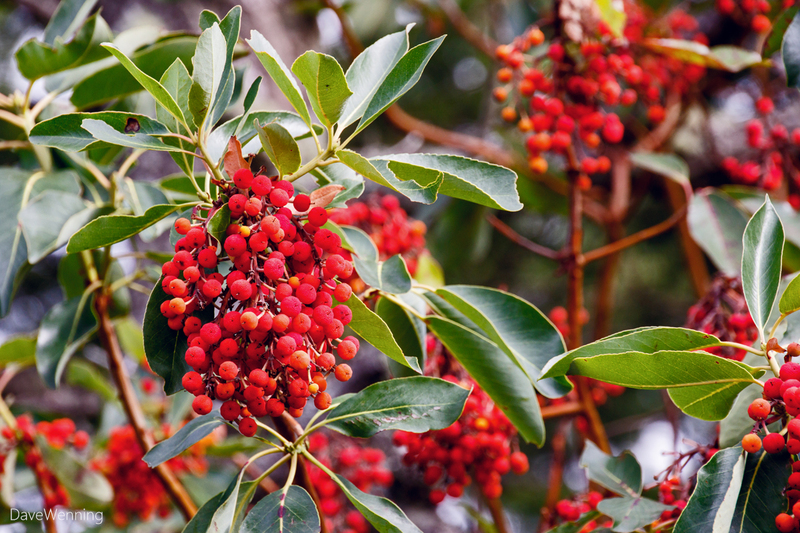 We have discussed here before whether Madrona or Madrone is the correct name. This is a regional preference and both are correct. 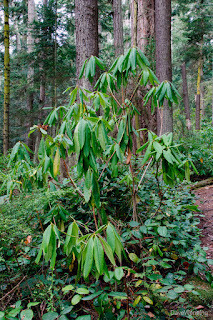 Where I grew up it was Madrona. 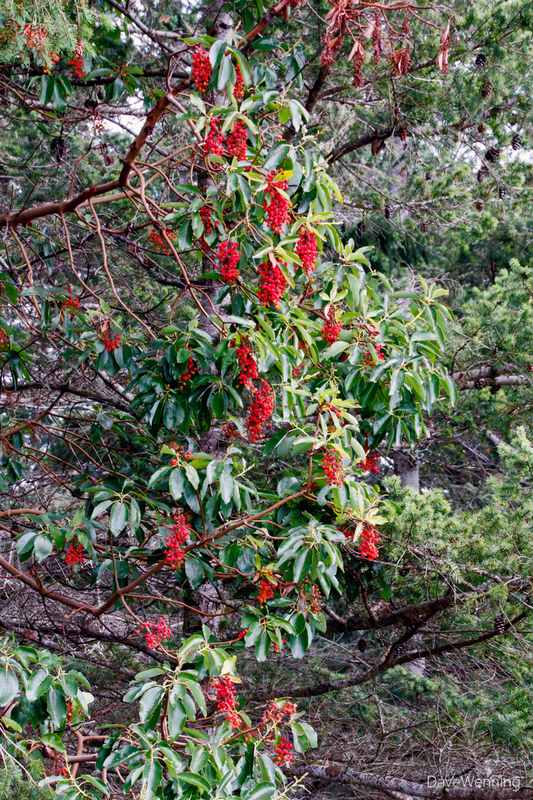 Canada avoids the problem altogether and calls it Arbutus. 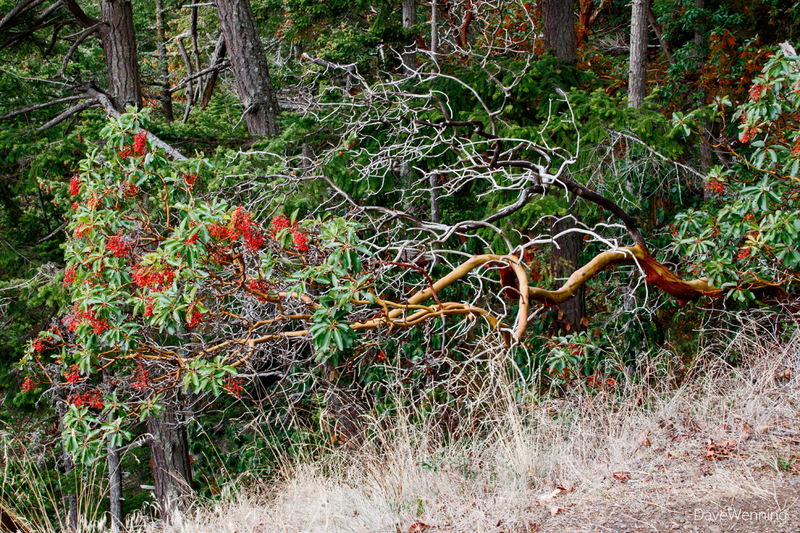 Left: Coming down the Southeast Summit Trail, I spotted this young Madrona with wilting leaves. This is not a good sign. I had one in my yard that did this, and it ultimately died. I was still "madrona-naive" at the time, so the first thing I did was water it. That may have been the mistake that sealed its fate. I know now the best thing to do with Madronas is leave them alone. They are designed to survive harsh conditions. Hopefully this youngster will do just that. 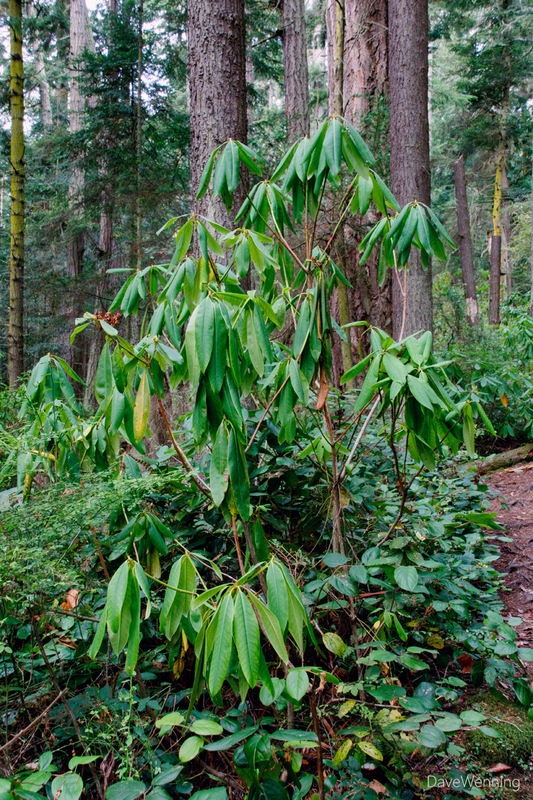 Right: The Rhododendron grove near the bottom of Goose Rock was also showing signs of stress. 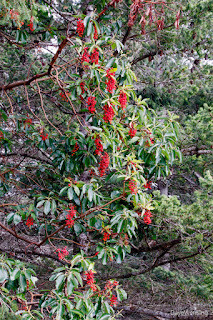 A Madrona cousin, some of the rhodies were also wilting. I hope this is a reaction to summer drought, and not something more serious. While some of the Pacific Rhododendrons were showing stress, others looked good. I saw flower buds in preparation for next spring's bloom. I agree with Arthur Kruckeberg. 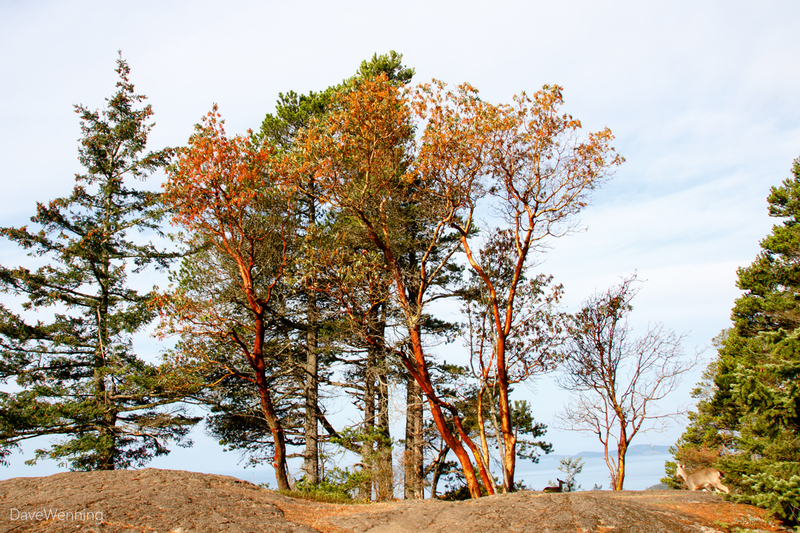 The "Foliage, bark, flower, and fruit of madrone consummate one of Nature's most ornamental works of art."